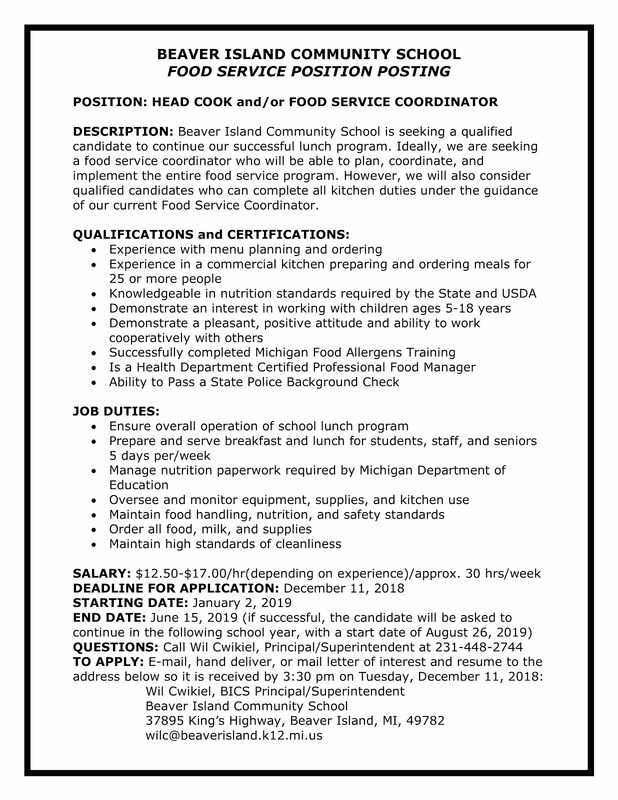 Please help us spread the word that Beaver Island Community School is hiring a Food Service Coordinator. This is a school interested in local, farm-fresh product and is a recipient of 10 Cents a Meal this current school year. 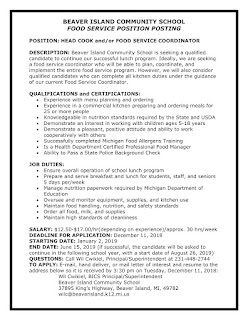 Deadline Dec 11, start date January 2, 2019. The Groundwork Center for Resilient Communities is a Traverse City based non-profit. Our work is member-funded and community-driven. Protect what you love. Become a member of Groundwork today.